Need more information about booking Home 9661290 ? Apartment is being renovated and can only be booked from 8th of November. Flat is under repair, first booking is available from 8th Nov.2018. 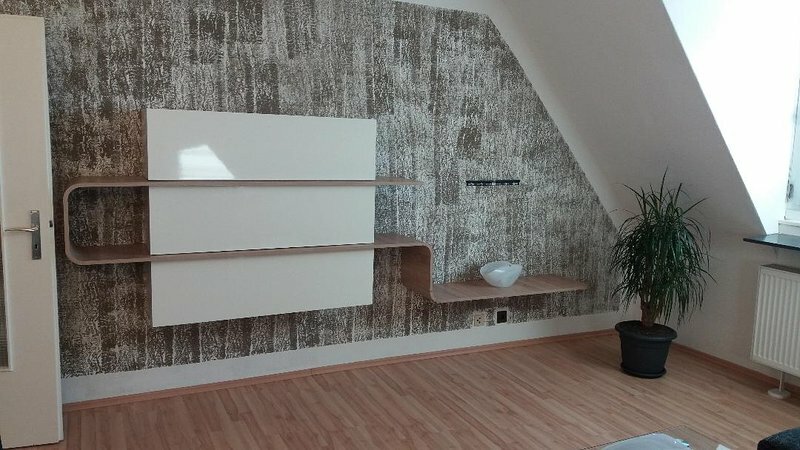 , , , In the middle of the old town - quiet residential area to Nebenstrasse- Bus (36) Station Rathaus 30m - or U1- Lorenzkirche 400m Fully equipped apartment with 1 bedroom or 2 bedrooms, kitchen m. Dishwasher, bath / shower, washing machine, separate toilet, and electr. Dryer in the dryer room, WLAN, TV. Kitchen with luxury equipment, coffee machine, microwave, crockery, ceramic hob, oven. Storage room with vacuum cleaner, and cleaning equipment, litter bins, or for your purchases or suitcases. Enjoy the short distances to attractions, museums, Albrecht Durer House, Rock Cellar Tour, Churches, Castle, Main Market Square, (Christmas Market) Restaurants, City, Shopping Mile, Cinema, Parks, all in less than 3 minutes to reach. You can get in touch with Klaus (the owner) through the contact form on this page. Send Klaus (the owner) an email through the contact form on this page. Alternatively, if there’s a phone number on this page, you can call them. How do I contact Klaus (the owner)? If you’ve already booked, go to Manage your holiday booking to view Klaus the owner's contact details or send them a message. Or send Klaus (the owner) an enquiry through the Contact the owner/manager form if you’d like a quote or more info first. When you pay online through the Book your stay form, a booking request is sent to Klaus (the owner). You’ll find out within 24 hours whether they’ve accepted - no money will leave your account before then. You can also request a quote from Klaus (the owner) through the contact form. The owner will email you the total cost for your dates and a link to book and pay online. Use the Book your stay form to pay provisionally online. You can pay by credit/debit card or PayPal. Klaus (the owner) will have 24 hours to accept the booking and no money will leave your account before then. Why can't I call Klaus (the owner) before booking? You’ll need to contact Klaus (the owner) to do this. Send them a message in Manage your holiday booking or through the contact form on this page. You can request to change the dates or number of people on your booking via the Manage your holiday booking page. To change your holiday dates use the Edit booking button. If you need to change the number of guests staying then send Klaus (the owner) a message. If Klaus (the owner) agrees, they’ll send you a revised quote outlining the changes. You can review and accept/decline this from the Manage your holiday booking page. You’ll have 48 hours to take action before the revised quote expires.